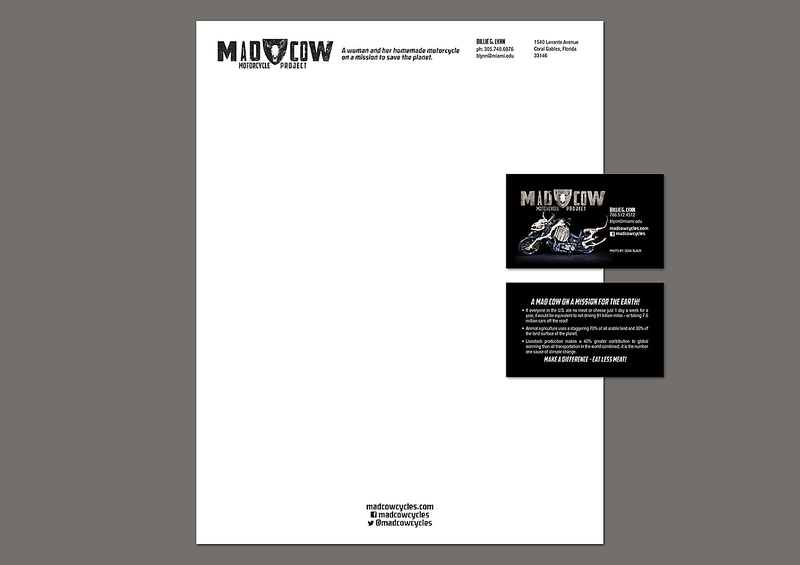 Visual identity and promotional materials for a turbo diesel powered, waste veggie oil burning beast on a mission to save the planet! 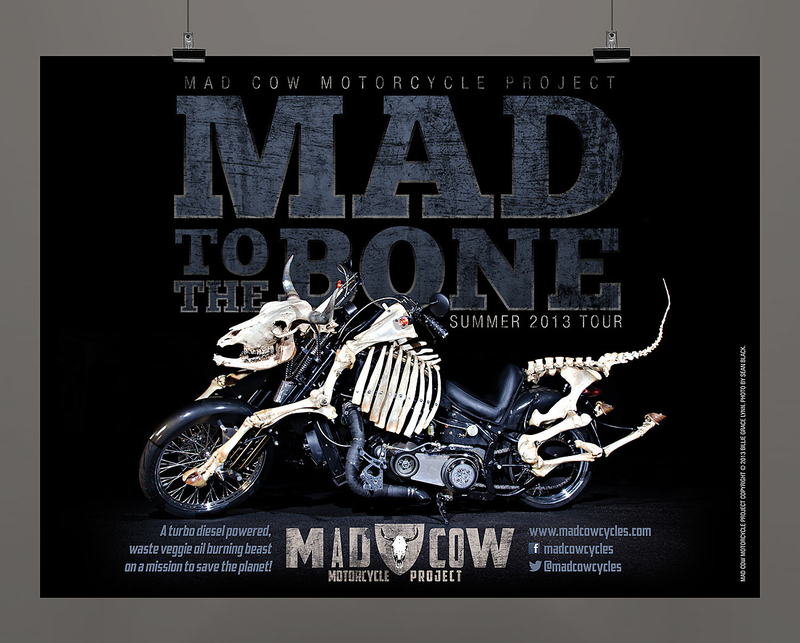 Visual identity for artist Billie Grace Lynn’s Mad Cow Motorcycle project, a passionate plea for responsible factory farming. 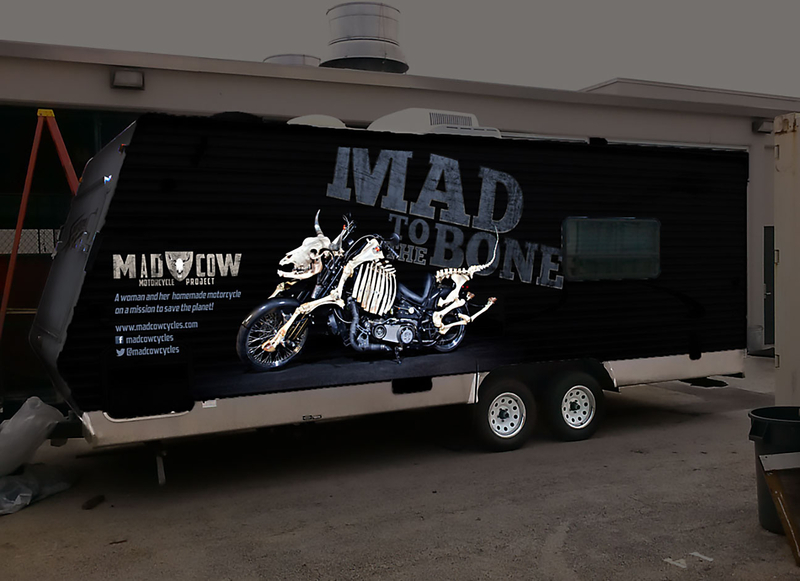 The motorcycle has been touring the United States to raise awareness about the environmental impact of meat consumption and factory farming. 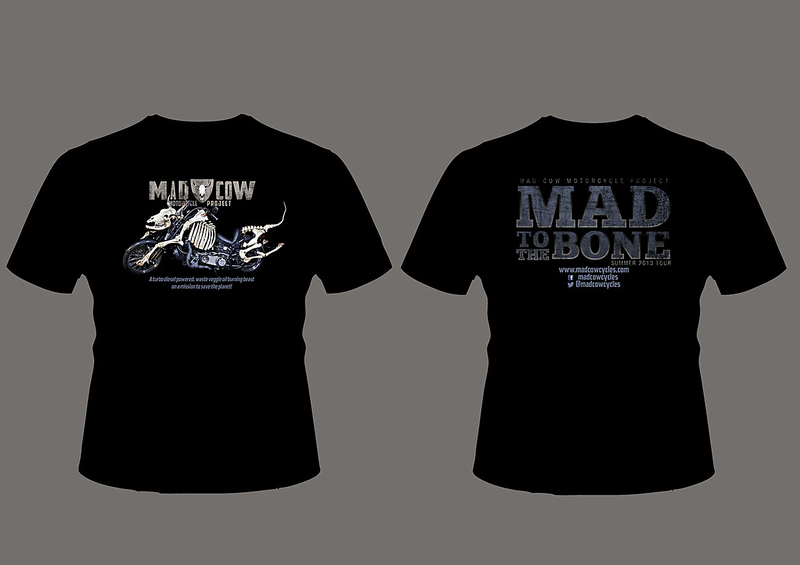 The identity is centered on the motorcycle itself, a slogan based on George Thorogood’s Bad to the Bone, and a typeface reminiscent of American biker culture, American Captain. © 2015 Linea Art + Design.